Level up and advance you leadership, facilitation and presentation skills in this intensive 5 day training with TED speaker, UNEP champion of the Earth and internationally acclaimed sustainability expert Dr. Leyla Acaroglu. Over the 4 days intensive you will uncover your unique leadership flair and have direct one-on-one mentorship for elevating your presentation, facilitation and communication skills. This is for people who have already established their professional career in making a positive impact and have advanced knowledge in their domain and want to rapidly level up in systems and sustainability change along with emerge their leadership role. Utilizing Leyla’s unique experience in given over 30,000 hours of public instruction and her deep knowledge of human engagement, you will be guided through a discovering, establishment and advancement process for you own capacity building. This is the next level leadership traning for cretaive change makers. This program is for creative professionals and individuals wanting to advance their leadership, facilitation and communication skills. Its designed for individuals who already have career experience and who are wanting to level-up their leadership skills. Do you want to do more public presentations in your tacit knowledge arena of sustainability and systems change? Are you an educator or facilitator who wants to further develop your communication techniques and design hyper engaging knowledge experiences? Are you an emerging leader who want to level-up your personal development in communication and facilitations? This is not just for extroverts! We believe that leadership comes in all forms so we strongly encourage you to attend if you are more of an introvert or find public speaking and leadership difficult. 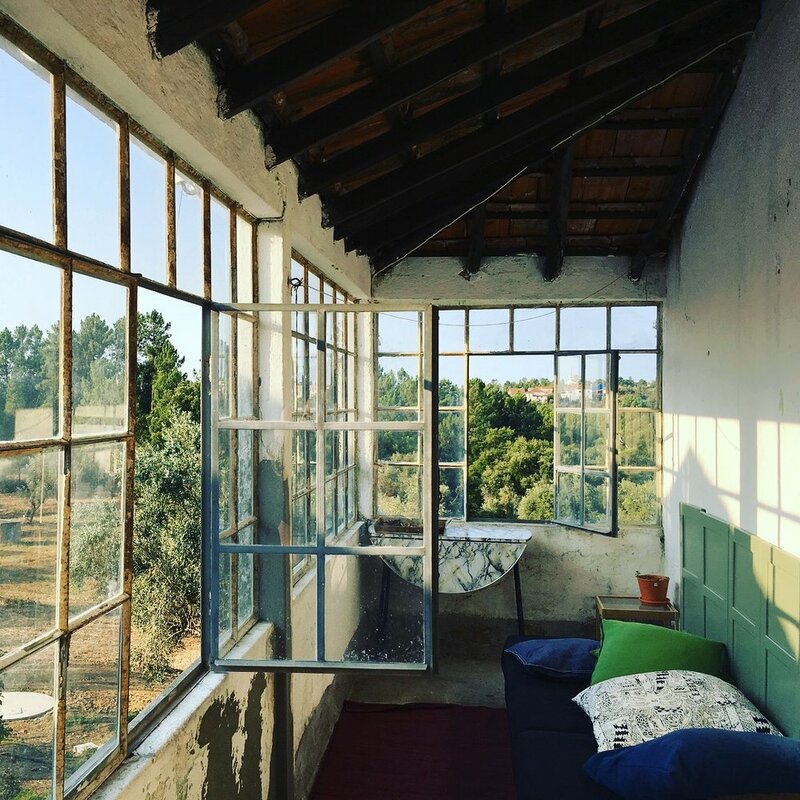 Held on our new beautiful rural retreat facility in Central Portugal at the CO Farm brain spa, you will not only get to dive deep into your leadership development, but also experience the tranquil beauty of our 200 year old olive farm. Be some of the first to stay in our rustic retreat facility with 100 year old farm house or custom built gnome cabins amongst the olive grove. This program is designed to elevate more young and engaged leaders (especially female and marginalized community leaders) into empowered and effective leadership positions. Food is part of our philosophy for making change. Organic, fresh, locally produced, lovely prepared, shared and celebrated. Our vegetable-centric approach to nourishment inspires creative, colourful and delicious shared meals for all. Our custom built outdoor BBQ and pizza oven area uses traditional building techniques and run on scavenged wood from the grove. A marble prep table was found buried on the property and restored to use for this outdoor kitchen. A long front area serves as communal outdoor dining space, along with various pockets for quiet meals by yourself, as you wish. Currently stone, we will be building out a large patio next to a natural swimming pool. The dining area looks out over the olive grove, a serene place to watch the sky turn pink as it sets. 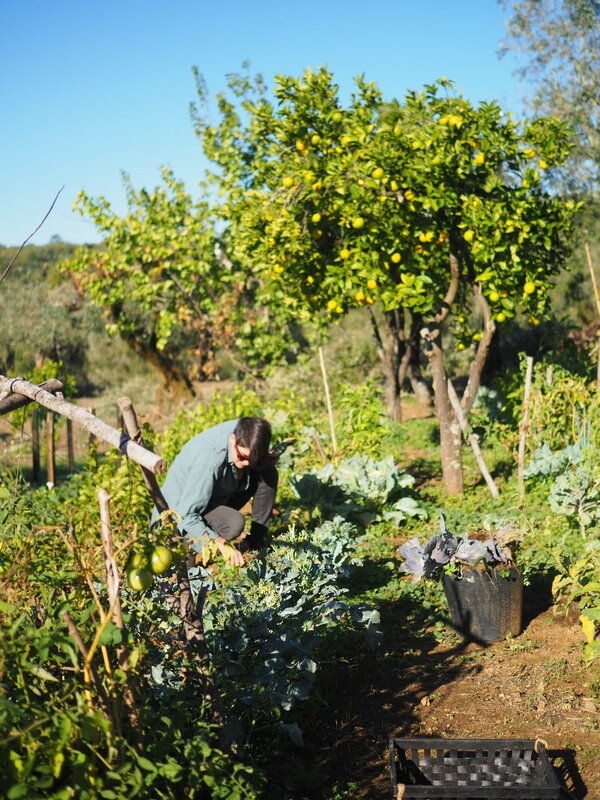 All your meals at the retreat space are included in your program costs, and are often made right from our own vegetable garden along with local markets. We have rustic on site accommodation options as Phase 1 of our Portugal Campus development. Once you have been confirmed you will be sent an accommodation option and this will be added to your program costs. You can also book local accommodation in guesthouses and Airbnb’s near by. We will provide you with all of these options in the course information pack. 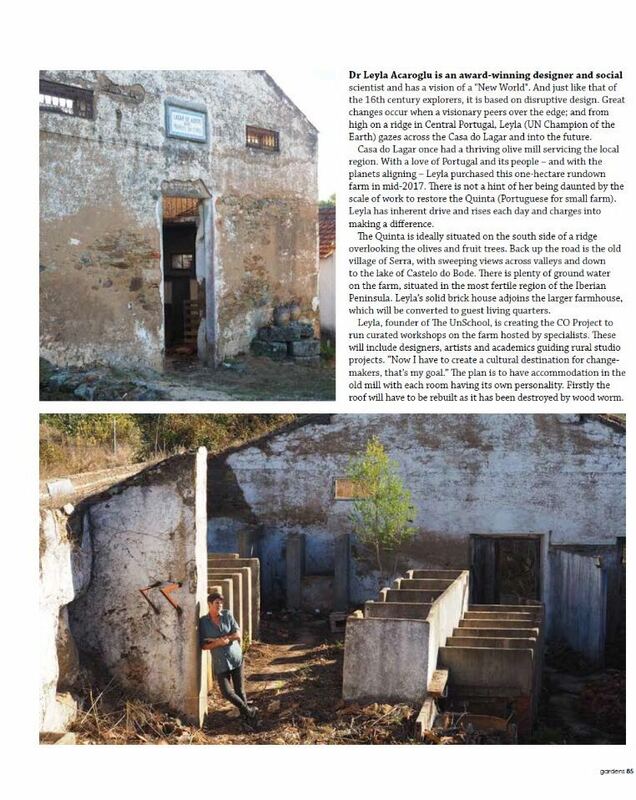 Our Farmhouse accommodations are comfortable and retain the original charm of the building. Some rooms overlook the grove. The LEADERSHIP program is relevant for any industry and professional background. The experience is designed for people specifically interested in positive impact and creative change making. Our growing global community of 350+ UnSchool Alumni come from over 39 countries. The only requirement is that you have a burning passion and desire to actively participate in leading positive change! We help you do the rest. The UnSchool is for creative rebels and change makers. What's on the menu for this program? You can also book local accommodation in guesthouses and Airbnb’s near by. We will provide you with all of these options in the course information pack. As part of our effort to make our programs equitable, we offer both scholarships and payment plans. Once our selection is made, we offer a limited number of scholarships, which are awarded based on demonstrated need. We fund these to make sure that our community is diverse and there is always equitable access to our programs. Please help us build change by only applying for a scholarship if you have clear need and have no other way of raising the tuition costs. Since we started our immersive educative programs in 2015, we have given +40 recipients over $120K of scholarships to our programs. Fill in the appropriate spot on the application to register your interest. Tuition for this program is 1600€, available in payment plans to all participants granted a place in the program. Accommodation is separate, but food is included! Not ready TO JOIN US IN PORTUGAL? Take one of our courses in Systems Thinking, Sustainable Design, Circular Economy and more much more at our online school to get ready for the next level, and check out our other 2018 programs. TAKE ME TO THE ONLINE SCHOOL!